"At first I thought it was a stuffed toy." 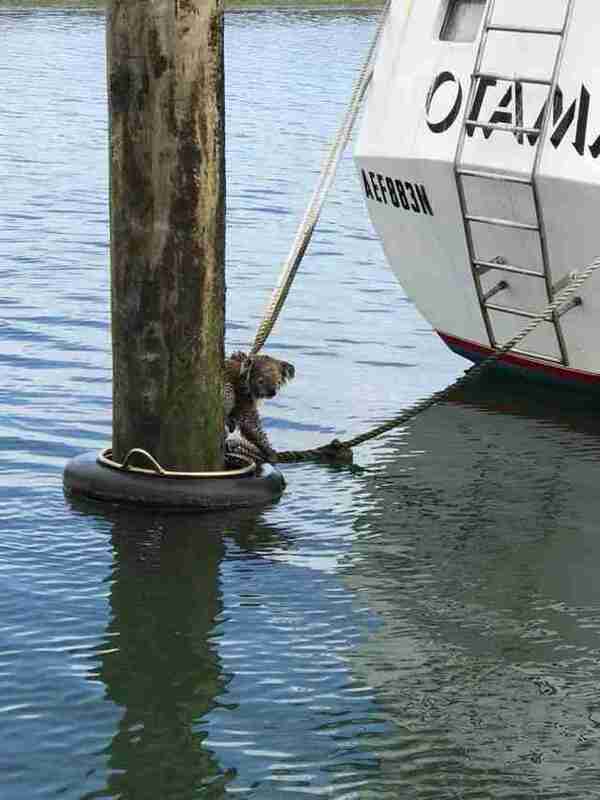 Two members of the coast guard in Australia were out on their boat on Sunday when they spotted something furry clinging to a wooden post in the water. As Sean Hannam and Gary Sissons moved closer, they saw that the furball was a koala, and he was shivering. 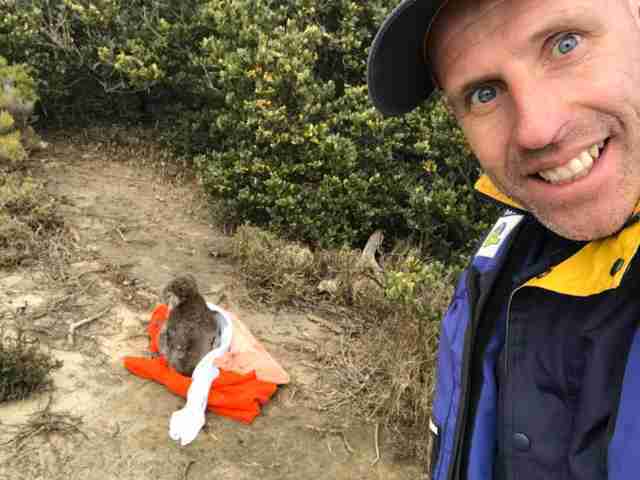 “I saw the koala on the mooring and at first I thought it was a stuffed toy,” Sean Hannam, a crew member on the boat, told local news. Hannam and Sissons knew they couldn't just leave him there. 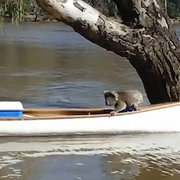 He was obviously tired and stranded after swimming out there (koalas actually can swim, but not all that well) and was disoriented about to how to get back on dry land. 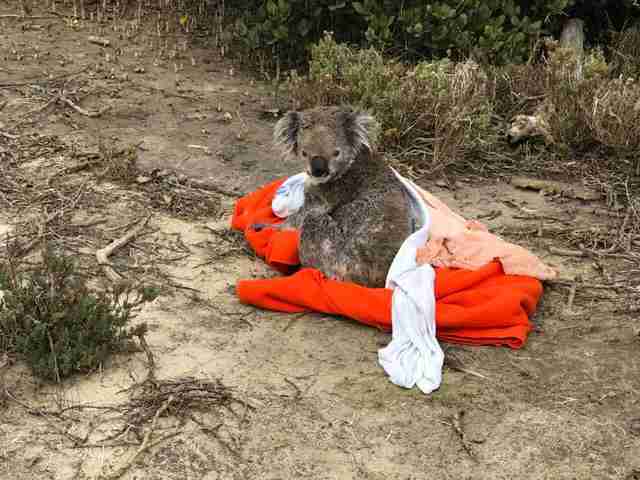 The men managed to wrap the koala in a blanket and lift him into their boat. 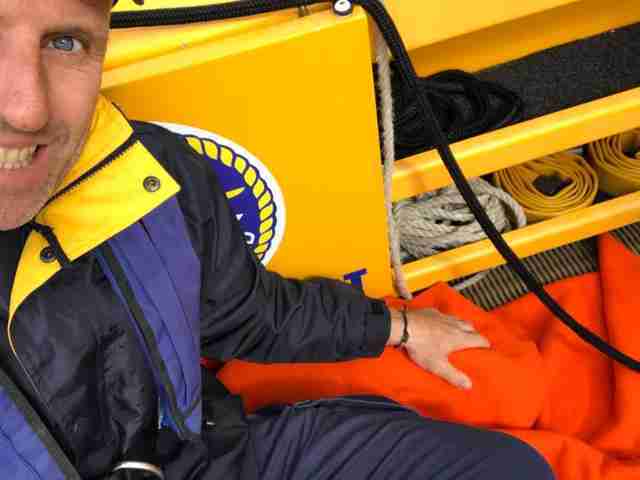 “We turned the engine off and I threw a blanket over him while I was standing on the ladder at the back of the boat," Hannam said. 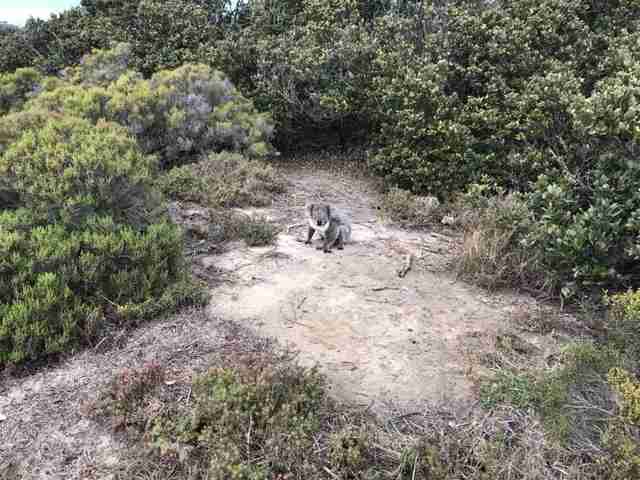 Hannam put the bundled-up koala on land and he looked back for a moment before walking away, almost as if to thank the people who helped him. 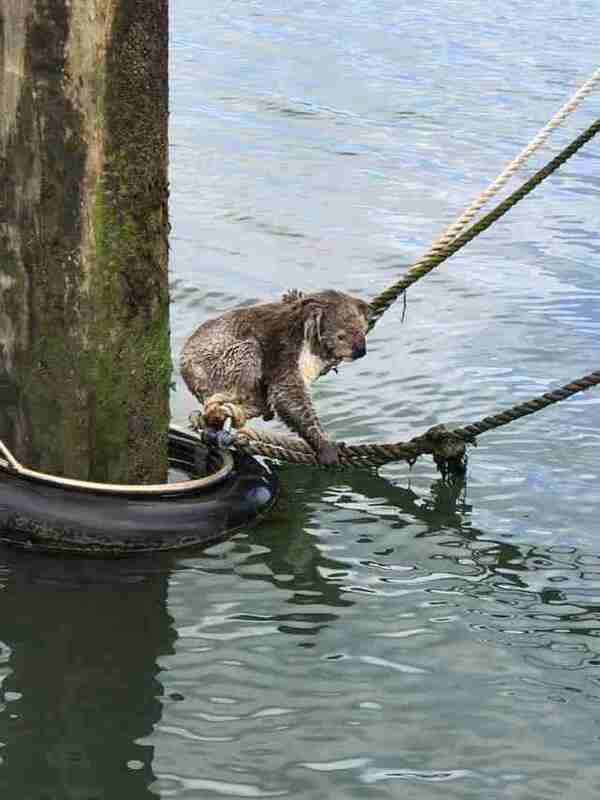 "He got to walk away gracefully," Hannam wrote about the koala on Facebook, under the pictures he posted of the rescue. And in response to the "good job" comments, he replied: "Just the conservationist in me." If you love koalas, you can learn how to help them from wherever you are.